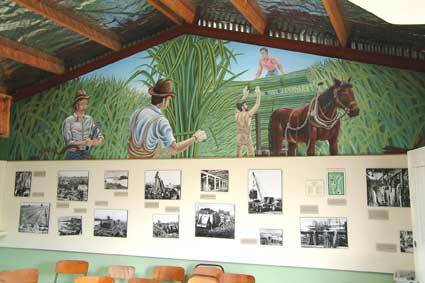 These murals depict the activities on the flax fields around Foxton. The work was hard and conditions were harsh. Many of the early settlers started work in the flax industry before setting up in other businesses or moving inland to newly opened up areas.